The rumour did the rounds a month or so back, but now Nokia has confirmed that it will brand all future phones into one of four product lines. Three - the E, X and N series - have been around for some time, but the fourth made its debut today: the C series. Nokia's C5: one for Sir Clive? Its first member: the C5, a Symbian third-edition powered candybar with a 2.2in screen, 3.2Mp camera, FM radio, stereo speakers and 2GB of Micro SD storage. Software highlights include Google Talk and Windows Messenger Live instant messaging, and a Facebook app. 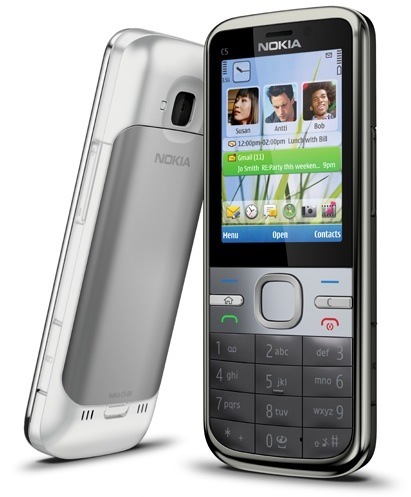 Back to the brands, and Nokia said: "The N series remains the flagship and most advanced range of products. The X series comes next and focuses on social entertainment. The E series remains focused on productivity and business, whilst the C series represents the core range of products." So think of 'C' for 'Classic', in the old-style nomenclature.